At Aindra, we are building a world where Clinical Pathology is Data driven, Fast and Patient focused. Aindra IS autostainer has helped me achieve consistent and high quality staining. Along with being hassle free, It is also compact and occupies very little space. 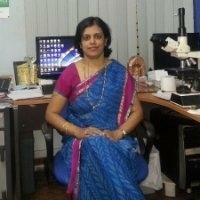 -- Ms. Kameshwari, Cancer Care India. 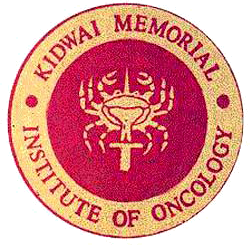 -- Dr.Malathi, Kidwai Memorial Institute of Oncology. Why? 5.8 billion people. That is the number of people on the planet who today, do not have access to a reliable and high quality healthcare. While inaccessibility is the problem facing the developing world, expensive machines and treatment methods are driving healthcare costs uncomfortably high in the developed countries. And we want to change this broken healthcare system. We at Aindra, are a passionate bunch of technophiles. We’re trying to converge the best technologies to make healthcare more accessible and affordable, as it’s supposed to be. ‘Affordable healthcare solutions for all’ is our ethos. How? At, Aindra Systems, our goal is to democratise access to quality healthcare, by using deep technology to realise our vision of accessible and affordable healthcare solutions. As technology enthusiasts, we believe the impact of leveraging technologies like Artificial Intelligence in the right way, can deliver more smarter, quicker and reliable systems that will help overcome the existing challenges of the healthcare system. What? Our AI platform Astra, is built to detect critical illnesses such as Cancer. Astra is a powerful platform that can be extended to build detection tools for a number of critical illnesses. As the first beachhead, we have developed a point-of-care detection system for Cervical Cancer that is quick, affordable and accessible. CervAstra will enable women to walk-in to their nearest primary health center, get screened and walk out with their reports. It is that simple. Our intelligent screening system CervAstra, tailwinds the development and striking benefits of computational pathology. Why AI? The biggest reason is because today, multiple factors have converged to create an environment where AI can make discoveries and judgments leading to faster and more accurate diagnoses than humans can perform. 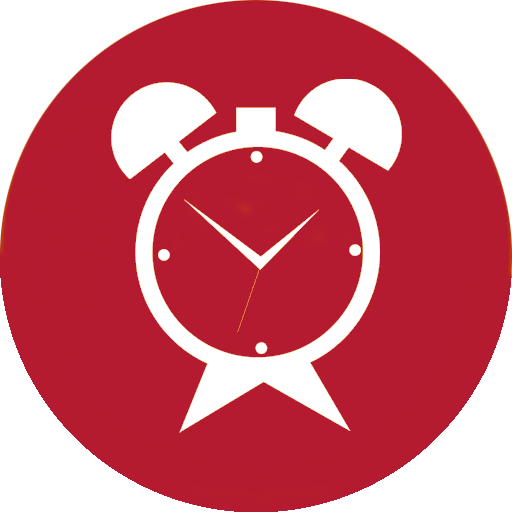 It significantly reduces the turnaround time for reports and also enables pathologists to look at only the relevant data. Healthcare Inclusion. 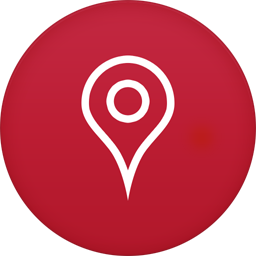 Diagnostic centers are concentrated in the larger cities, whereas most of the population resides in smaller cities or villages. Our compact systems are portable that can be carried to the point- of care. Our technology enables the healthcare system to extend itself into the far reaches of any country. Fatigued and limited pathologists, cause a delay in reports, and increase the number of misdiagnoses leading to enormous social & economic costs. There is also an shortage of specialists at many medical institutions. 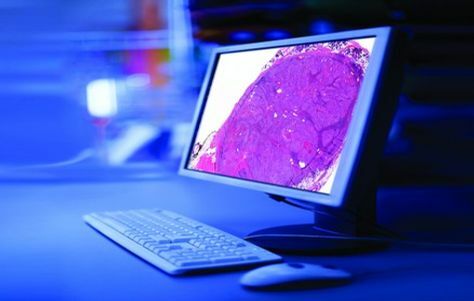 There is a need for an AI imaging diagnosis support system that can interpret images, detect small lesions that even specialists could miss. AI eliminates the grunt work of looking at 80% normal samples. Through intelligent architecting of the system, the AI algorithms are continuously learning from human intervention when Pathologists either confirm or reject the findings of the algorithms. These are then automatically redirected back as feedback, to build even better Deep Learning models. If data is the life blood of any Deep Learning system, our system ensures that there is a constant supply of supervised data that goes into building better models. One woman dies every 2 minutes globally due to Cervical Cancer. Currently, there exists no reliable, smart and fast solution for the screening of Cervical Cancer in all developing nations. Although cervical cancer has a higher gestation period, due to lack of affordable and accessible screening tests, the count of women detected with Cervical Cancer is rising and so is the mortality. CervAstra, our first product to detect Cervical Cancer is built using ASTRA, our Computational Pathology platform. 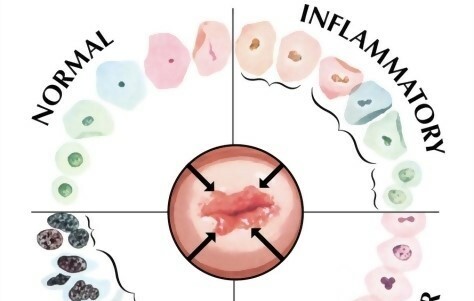 CervAstra analyzes pap smear samples at the Point-of-Care to call out Normal or Abnormal all in under a few hours as opposed to a larger turnaround time of a few weeks depending on the location of sample collection. In our bid to fight morbidity and mortality due to cervical cancer, we have developed an advanced AI powered Cervical Cancer Detection System to facilitate early diagnosis. This system is a suite of 3 products which work cohesively to obtain quick and accurate test results. 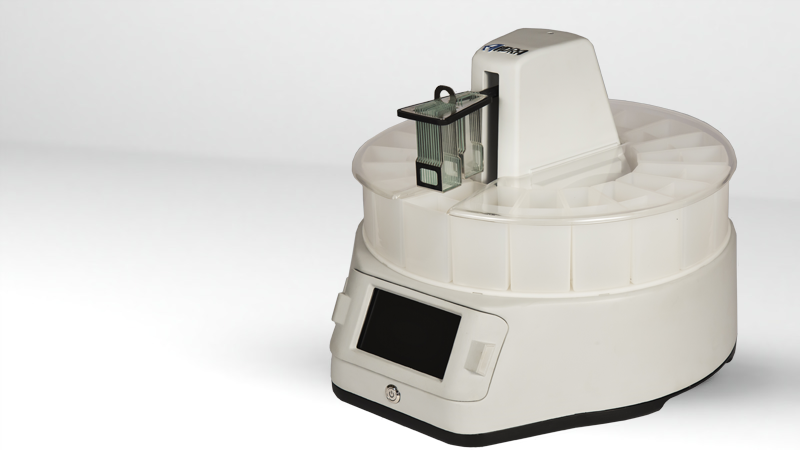 Aindra IS is an automated stainer for staining biological samples that are mounted on glass slides. Aindra IS uses state of the art mechatronics and software to achieve unparalleled staining. This sleek, compact and portable device is the perfect fit for any laboratory wishing to achieve crisp, clear and high quality staining without eating up a huge space in the laboratory. Aindra IS is a one -stop solution for all staining requirements. Tele-patholgy: Aindra VisionX gives extremely Crisp images of a whole slide. These images enable extremely fast turnaround times for the report by enabling images captured at the point of care to be transferred to a Clinician, thus enabling telepathology. Digital images also cease prevent that is caused to clinicians as it allows them to analyse these images in the comfort of either their homes or at their workplace. Aindra Astra is an AI platform developed to facilitate computational pathology for faster and more accurate diagnosis. A member of Union for International Cancer Control and recognized by WHO. 34 years of experience, Metropolis has earned the reputation of being top pathology labs. 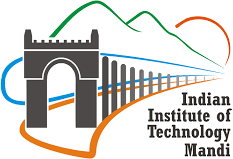 IIT M is one among the foremost institutes of national importance in higher technological education, basic and applied research. 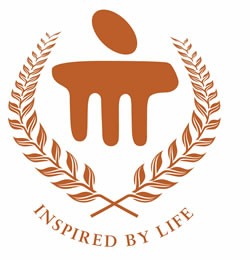 One of the eight new IITs established by the Ministry of Human Resource Development. 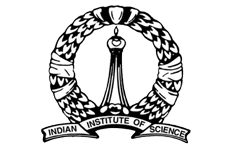 IISc is university for research and higher education in science, engineering, design, and management. Not-for-profit Section 8, Schedule B, Public Sector Enterprise, set up by DBT Government of India. 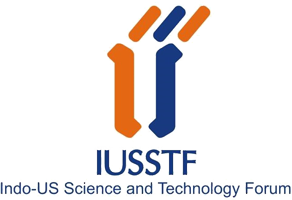 Aims to facilitate, seed and promote Indo-US bilateral collaborations in Science & Technology. 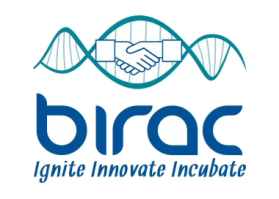 Incubating early‐stage, businesses & discovering innovations & innovators. Leading technology, business, and educational advisory firm. 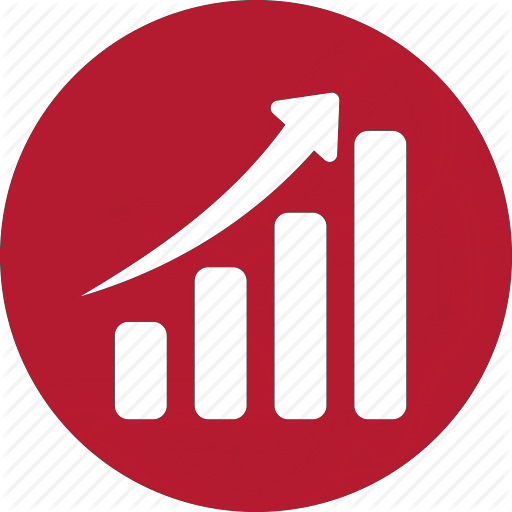 Having promoted over 60 companies in the areas of biotechnology, pharma, medical devices and energy. Armed with an experience of more than a decade in multiple companies across various geographies and a MBA from IIM Bangalore, Adarsh took the Entrepreneurial plunge. His passion in leveraging deep tech to solve hard human problems, saw him starting Aindra Systems. Keenly interested in Entrepreneurship, he is closely associated with the Entrepreneurial ecosystem through various forums like the Startup Leadership Program, a global Entrepreneurship program for practicing Entrepreneurs. He is part of a closed group of Entrepreneurs, which experiments deeply in the areas of Customer Development using Lean methodologies. When not innovating on new products, Adarsh is smashing it at a game of shuttle. He also loves traveling with his family. A Startup and Product Enthusiast, she enjoys the hustle of creating and building great products for healthcare that are ground breaking and impactful. A Biomedical Engineer by training, she has been a part of building various healthcare solutions from doctor search platforms to mobile glucose monitoring devices. She helps build requirements for the products and project manages delivery timelines. She believes thinking first principles is key to great innovations. When not building products, you’ll find her stroking her brush on a canvas. Hari believes in the capability of technology to have a positive effect on us, society and nature. He strives to be an agent for this impact and work on problems that have potential. BTech in Electronics and Communication engineering from Govt Engineering College, Thrissur [Calicut University] and ME in System Science and Automation from Dept of Electrical Engineering, Indian Institute of Science. 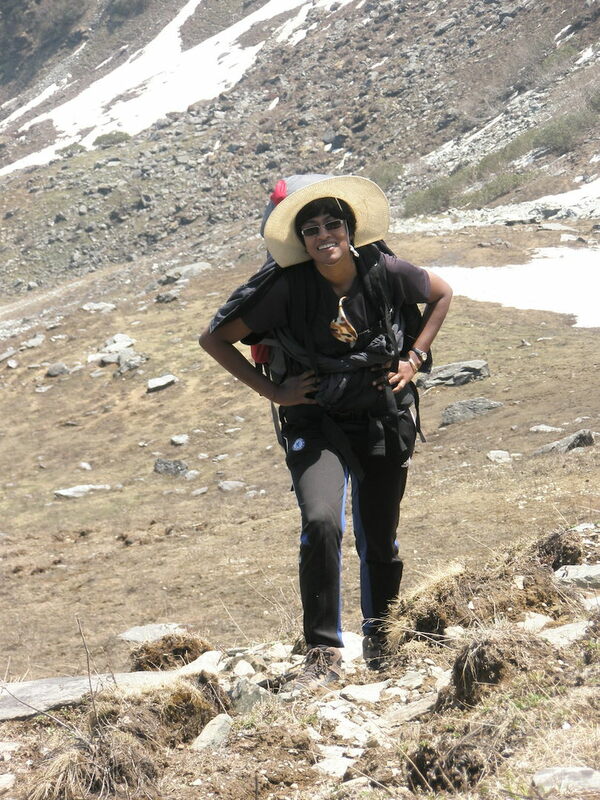 When not “deeply” immersed into building complex networks, he likes taking off to the himalayas for a hike. 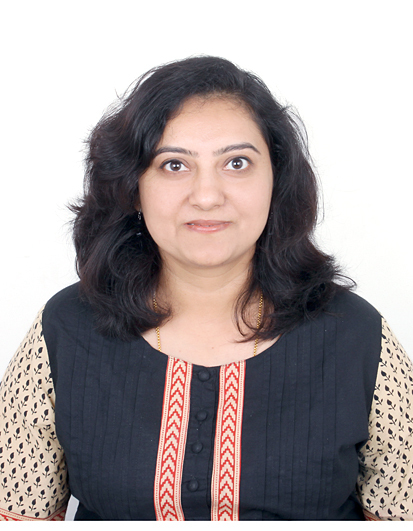 Shobha has 15 years of rich experience across Telecom, BFSI and Enterprise domain in Ericsson and Wipro. 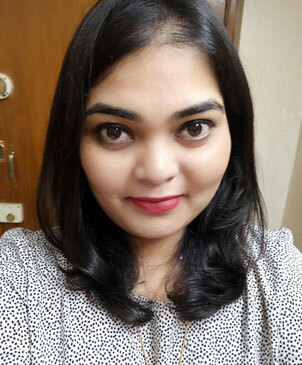 Shobha is a hands-on person wrt architecture/design and development.She is keen learner of new technology and enjoys providing solutions to critical and challenging technology requirements. Industrial Designer from NID Ahmedabad having 12+ years of experience in diverse field product design including in automobiles and medical devices. His diverse experience surfaced during his design process when he had to achieve a perfect balance between utility, functionality, aesthetic with the ability to translate all these aspects into a manufacturable product. He believes in ergonomic and user driven designs to achieve everlasting product experience instead of emphasizing solely on physical aesthetics or part designing. When not ideating great designs, he loves watching documentaries and listening to some great Qawwali music. Krishna has 8 years of rich experience across Medical New Product development and EMI/EMC Compliance of the New Medical products. 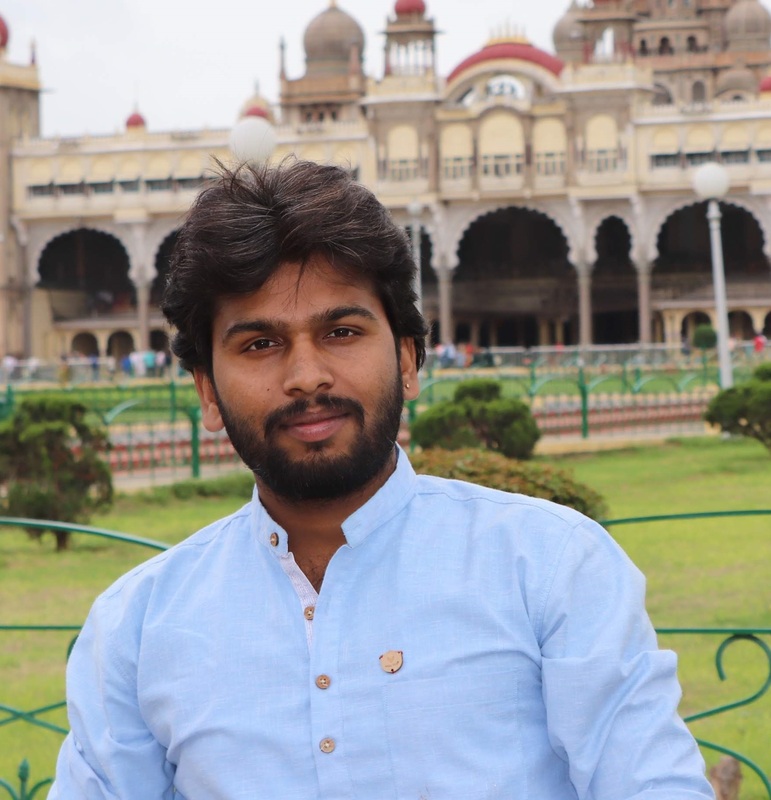 Krishna is a hands-on person with respect to Embedded design and development, worked on several RnD projects, loves working on embedded solutions for complex problems. 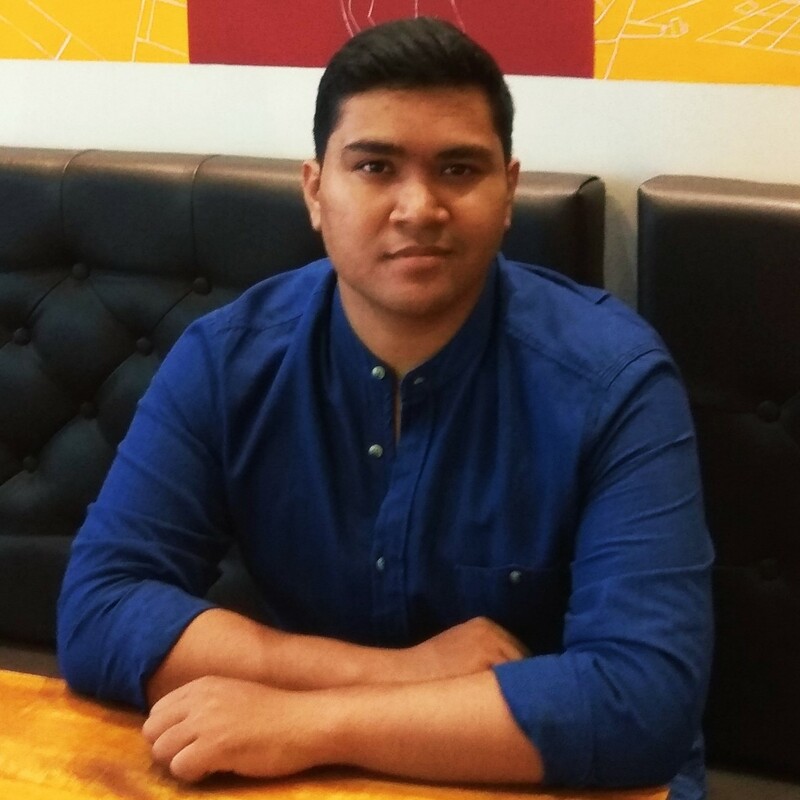 He's is a keen learner of new technology and enjoys providing solutions to critical and challenging technology requirements. 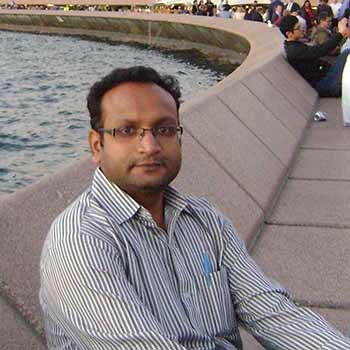 Abhay has graduation in physics from University of Delhi and has worked on various projects like Brain computer interface, Skill training simulators and simulation to real Artificial Intelligence in Tata Consultancy Services. 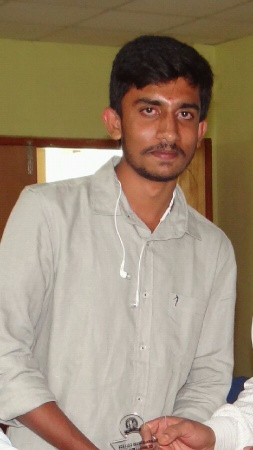 He has completed Master's in Computer Application from Sastra University. He wants to work on intelligent systems using AI and Embedded Systems. 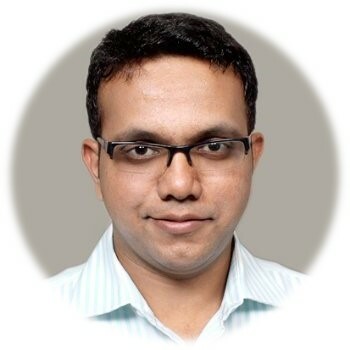 As a design engineer at Aindra Systems, Sharath has been instrumental in the design & development of the AIndra - IS family of products from scratch. As an Engineer he is perennially curious to know how things work, how to innovate and design a great product. He is passionate about developing innovative products with a perfect balance of design and utility. He also is a testing Ninja and helps us keep up the quality standards that we promise our customer. 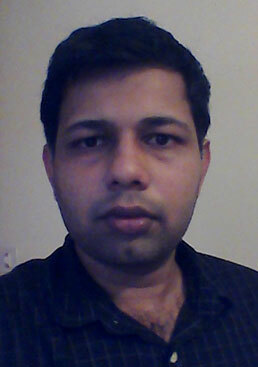 Atul has been handling the validation work for the Aindra - IS family of products and Digital marketing. When not exploring the market, he loves to hit the road and enjoy long rides through the countrysides. 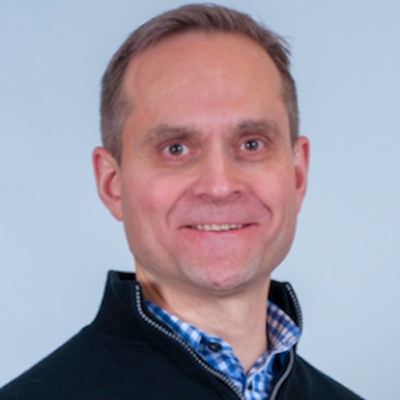 CEO Chimco Bio Medical Engineering Co.
Kristian Olson is the Director of the Consortium for Affordable Medical Technologies (CAMTech). He is both a Pediatrician and Internist and also serves as a Clinician Educator at the Massachusetts General Hospital and an Assistant Professor at Harvard Medical School. He has worked in Darfur, Indonesia, Cambodia, Ethiopia, Uganda, and India, is a serial innovator and one of the architects of the CAMTech Innovation platform. He completed an undergraduate degree in biology at the University of British Columbia, medical school at the Vanderbilt University School of Medicine and his residency training in the Combined Harvard Medicine and Pediatrics Program. He trained in the Masters of Public Health program at the University of Sydney as a US Fulbright Scholar and completed a Diploma in Tropical Medicine at the London School of Hygiene and Tropical Medicine in 2003. In 2009, he was named to the Scientific American Top 10 Honor Roll as an individual who has demonstrated leadership in applying new technologies and biomedical discoveries for the benefit of humanity. 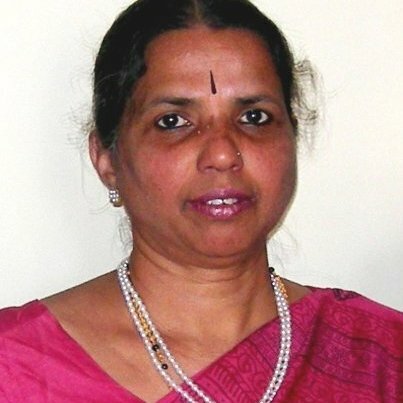 Dr. Malathi has a rich experience of over 40 years in the field of Oncopathology and is the Principal Investigator for Aindra's Clinical Validations. She has rendered immense support and feedback for Aindra's Cervical Cancer screening tool CervAstra. 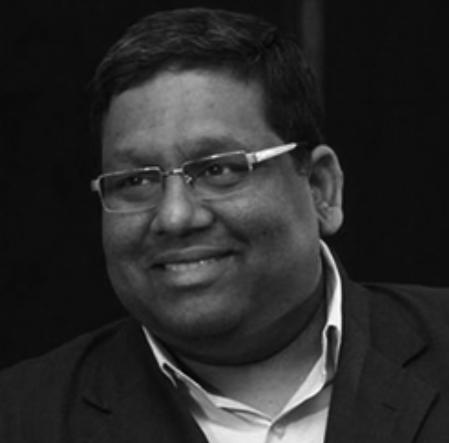 Bhushan has a rich 30+years of experience of mentoring startups. He has also started various successful ventures. 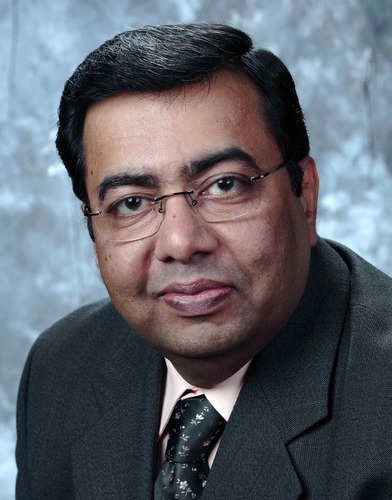 Mr. K. C. Bhushan co-founded Fundtech India Ltd. in 1994 and serves as its Director. Mr. Bhushan has flexibility to undertaking various strategic roles in support of business development, operations and client support functions. He recognized an increasing demand for more flexible service applications and in support of this delivered its flagship CashIn product suite via an ASP and Service Bureau business model. Prior to joining Fundtech India Ltd., Mr. Bhushan worked with Price Waterhouse Coopers' IT consulting division in Asia Pacific. 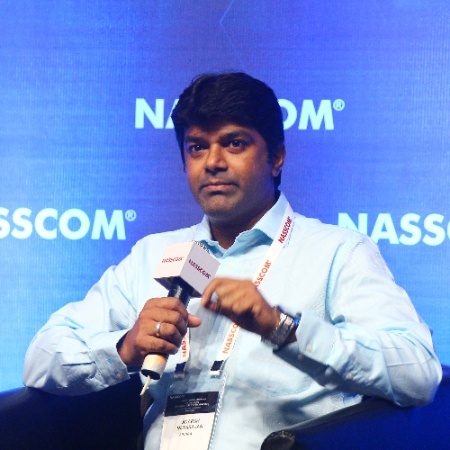 Prior to that he was with one of India’s largest public sector IT companies, CMC Limited. There he was involved in the design and development of India's first online equities trading solution that was delivered for the Over-the-Counter Exchange of India (India's equivalent of the NASDAQ), India's first online exchange. Mr. Bhushan holds an MBA from the Indian Institute of Management, Ahmedabad and a Bachelors degree in Electronics from the Indian Institute of Technology, Mumbai. Aditya is an accomplished individual with 35 years of experience in distribution and marketing of sophisticated medical equipment and devices. He has successfully worked with several well-known global companies for India and overseas market. 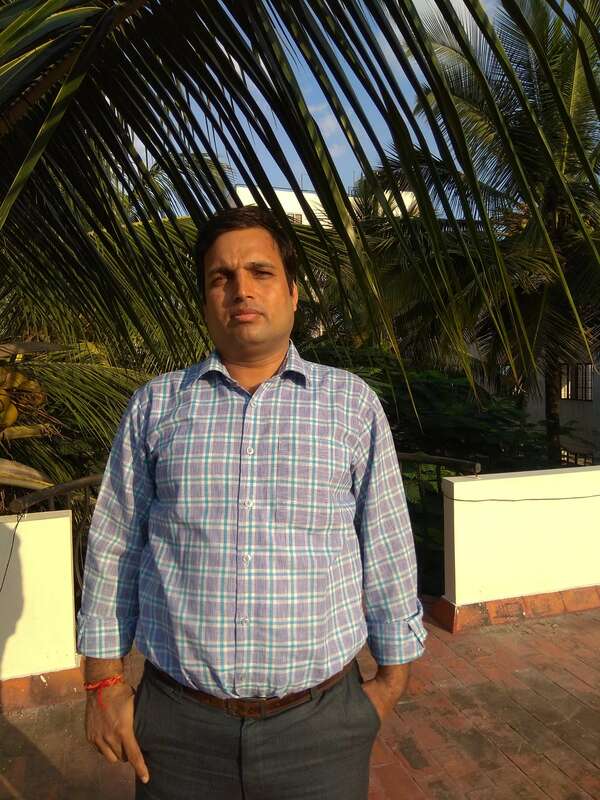 He is CEO of Chimco Bio Medical Engineering Co. Mumbai Aditya is ambitious businessman and spends lot of time in understanding the new businesses. He is passionate about inspiring and motivating start-ups and entrepreneurs through creative ideas. He enjoys travelling, is also a motivational speaker and practices Zen meditation. 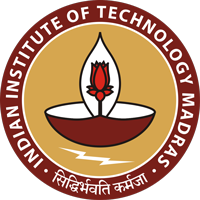 Dr.Shanti is a part of the faculty at IIT-Madras. She has been a great advisor and mentor in the development of the image acquisition device. Dr. Anil is the chairperson of the School of Computing and Electrical Engineering at IIT, Mandi. He is a MS and PhD from IIT Madras. 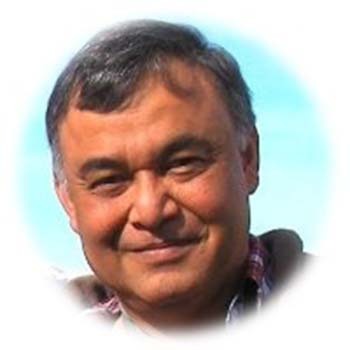 His areas of expertise and research are in Computer Vision, image processing and pattern recognition, sparse representation of image and speech. Blessed with a sharp analytical mind, Rajan,as Thiyagarajan is fondly known as, has deep knowledge of the software products space in India. His uncanny ability to see through some of the pitfalls that Tech start-up Entrepreneurs in India could potentially land up in, has helped many startups pivot. Rajan is currently the Innovation Leader in Intuit, where he helps engineers do grass root innovation to foster Intrapreneurship. An ex-entrepreneur himself, he founded Motvik, a company that built successful global mobile apps & products. 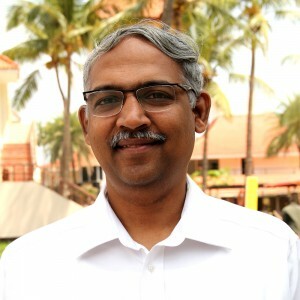 Rajan is amongst one of the few Lean startup practitioners in India. He is also a Fellow at iSPIRT a Not-for-profit community contributing to the vision of building India as a Product Nation. Are you a passionate Hands-On Electronics Engineer with 3 - 6 yrs of experience, who thinks, “I don’t want to just keep pushing paper or doing dumb work and want to create products that change people’s lives”. Someone who has the passion to create and not just the mentality to maintain existing systems. An Entrepreneurial spirit with a startup mentality, who will take pride in what he/she will help create. A believer and not a skeptic with an ability to wear multiple hats required in a startup. At AIndra Systems, an exciting early stage Startup based out of Bangalore, our Vision is to build world class systems to aid diagnosis of fatal diseases like cancer with the use of Artificial Intelligence. Our Mission is to use Computer Vision as the vehicle. We take immense pride in the fact that we are amongst the very few deep technology startups in India. We are working on deep-tech like Optics, Mechatronics and AI in Healthcare. We have been featured by Forbes, Economic Times, Your story etc. We have been supported by multiple national as well as international agencies. We have multiple patent pending products which are under National Phase applications stage in multiple countries. What will you do as an Electronics Engineer at Aindra? Build electronics-driven mechanical systems for computer vision based products. Integrate the Optical, Mechanical, Electrical and Electronic systems and test the entire system. Selection of appropriate components, vendor discussions, procurement and its integration for building sub-modules and systems. Be involved in product development from an early stage of product conceptualization. Design and develop test benches for testing the electronics. 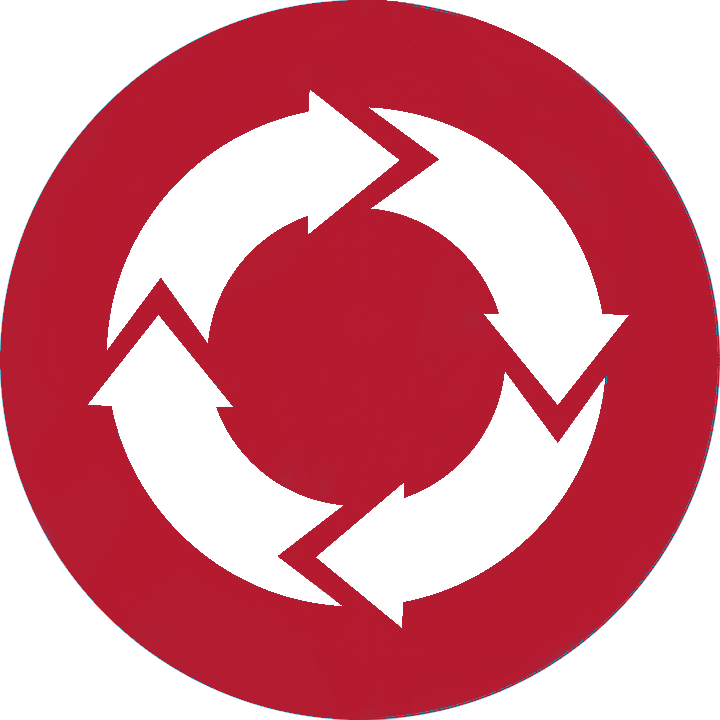 Providing reliable solutions to a variety of problems using sound problem-solving techniques. Perform technical root cause analysis and outline corrective action for identified problems. Be involved in design, implementation and testing of artificial intelligence systems and smart devices. Be responsible for outlining safety processes. Be comfortable in multitasking and working with experts from different departments of research, optics, electrical, electronics, mechanical, business developers and clinicians. Must identify opportunities for improvement of existing designs, create and implement new designs, and test them. 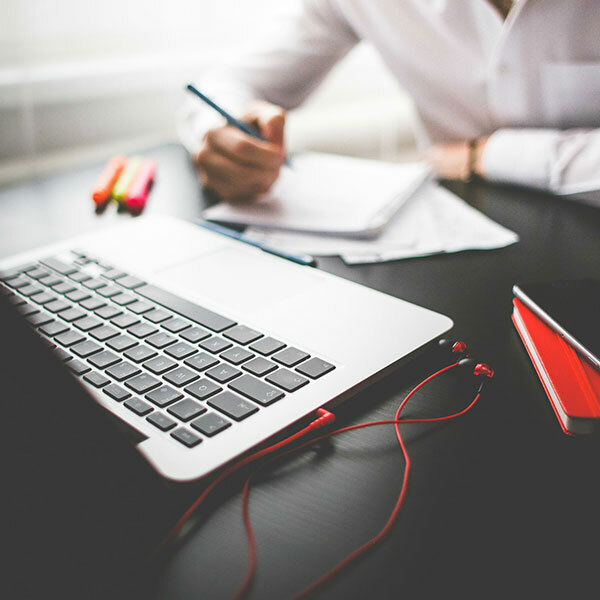 Be able to communicate technical information clearly and succinctly to both technical and non-technical teams. Supporting Clinical Trials and implementing required regulations for Medical Device manufacturing. Generate Intellectual property in her/his technology area. Design, develop and package electronics like multi-layered printed circuit boards, sensors, connectors and cabling. Ability to design electronics to be compliant to EMI/EMC, ESD, EFT, RE and CE requirements as stated in CE certifications. 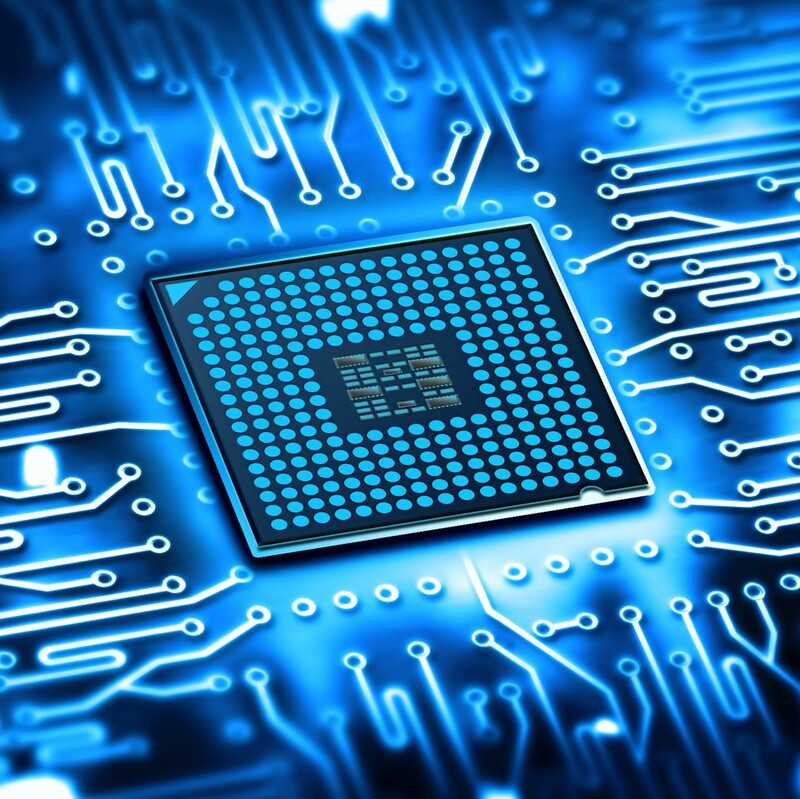 Strong experience in designing multilayer PCBs and developing Board layouts for it. Experience in developing Medical device instrumentation involving Microcontrollers and its programming, electromechanical and optical components, capacitive sensors etc. Research, select, and apply sensors, communication technologies, and/or control devices for sensor positioning, capturing data, data processing and electronic communication. Design mechatronics components for computer-controlled products, such as cameras, optics and various other components. Execute reliable computer control systems of smart equipment. Present reports at internal technical meetings. 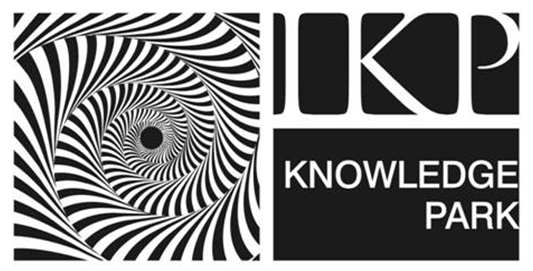 Working Knowledge in software platforms like OrCAD, Embedded C, Kiel, P-Spice, LabVIEW. Experience in creating embedded software design programs. Experience in electronics driven optical systems. Experience building, supporting and troubleshooting medical devices with optics, electronics and mechanical systems. Are you a passionate Techie who thinks, “I want to shape my career and be future-ready. I don’t want to just keep doing dumb work and want to create products that change people’s lives”. Someone who has the passion to create and not just the mentality to maintain existing systems. We at Aindra, are looking for Tech Ninja’s who have a drive to learn and contribute. At AIndra Systems, an exciting early stage Start-Up based out of Bangalore, our Vision is to build world class systems to aid diagnosis of fatal diseases like cancer with the use of Artificial Intelligence. We take immense pride in the fact that we are amongst the very few deep technology startups in India. We are working on using deep-tech like Optics, Mechatronics and AI in Healthcare. We have been featured by Forbes, Economic Times, Your story etc. 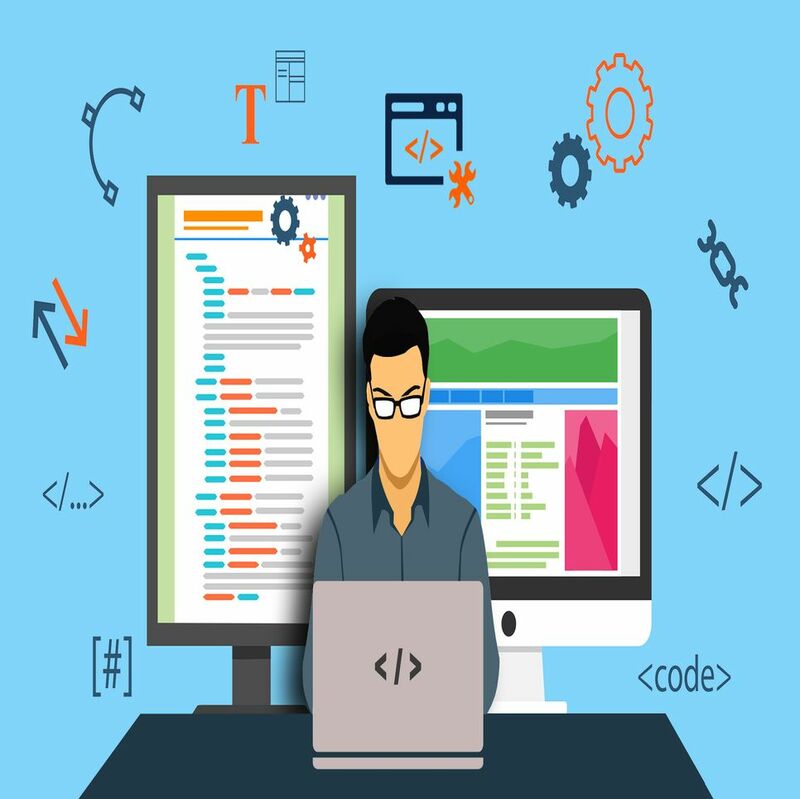 Have a strong understanding of UI, cross-browser compatibility, general web functions and standards. Strong grasp of security aspects of a website. Work at one of the top AI startups in the country with an international reach. Opportunity to work with an A-team and hone your skills. Are you a passionate Techie ninja with 5 - 7 yrs of experience, who thinks, “I don’t want to just keep pushing paper or doing dumb work and want to create products that change people’s lives”. Someone who has the passion to create and not just the mentality to maintain existing systems. An Entrepreneurial spirit with a startup mentality, who will take pride in what he/she will help create. A believer and not a skeptic with an ability to wear multiple hats required in astartup. At AIndra Systems, an exciting early stage Start-Up based out of Bangalore, our Vision is to build world class systems to aid diagnosis of fatal diseases like cancer with the use of Artificial Intelligence. Our Mission is to use Computer Vision as the vehicle. We take immense pride in the fact that we are amongst the very few deep technology startups in India. We are working on using deep-tech like Optics, Mechatronics and AI in Healthcare. We have been featured by Forbes, Economic Times, Your story etc. We have been supported by multiple national as well as international agencies. We have multiple patent pending products which are under National Phase applications stage in multiple countries. Someone who is unfazed by the speed of development and implementation. Someone who loves new challenges and working on new requirements. Capable of implementing scalable and high-performance systems. Want to be involved in product development from an early stage of product conceptualization. Capable of implementing solutions to be hosted on the Cloud. Cloud computing knowledge and experience with deploying applications on any of the well known IAAS/PAAS providers. Capable of performing technical root cause analysis and outlining corrective action for problems using debuggers, log files etc. Company sponsored passes to technical & entrepreneurship events and meet ups. 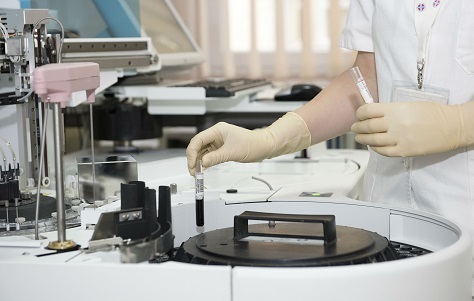 Material selection for a medical device is more important than you think! Copyright © Aindra Systems. All rights reserved.